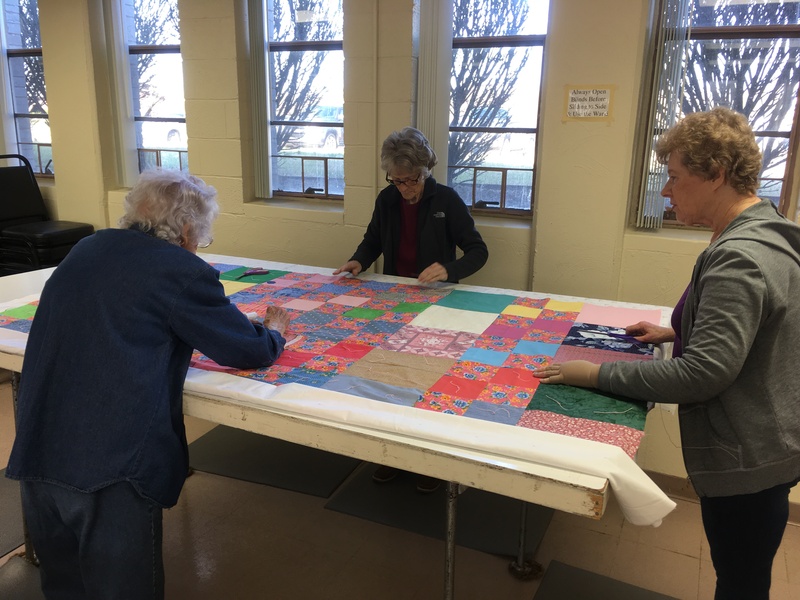 Mission of Love meets weekly to tie quilts for both Lutheran World Relief (LWR) as well as local needs. The quilt tops are sewn by the ladies, while the fabric for the tops and sheets are donated from the congregation. Mission of Love also hand quilts some quilts to sell. The sales of these quilts is used to buy supplies and for shipping LWR quilts to the headquarters. All ladies of the congregation and community are invited to join this project. If you want to learn to quilt or tie quilts, there are plenty of ladies willing to teach. Fellowship, stewardship, and friendship are enjoyed by all. Evening and Saturday times are also made available for those not able to come during the day.